A nurse is being deposed by the plaintiff’s attorney about the care provided to a patient while in the county jail. The patient suffered a bad outcome and is suing the county, the jail physician and the nurse for inadequate care. The attorney asks why the nurse gave an over-the-counter (OTC) medication to the patient who complained of cold symptoms. The nurse’s response is that the protocol for a common cold allows the nurse to use an OTC decongestant. The attorney asks where the nurse got the protocol. The response is that the nurse obtained the protocols while employed at the state prison. The nurse has continued to use them since taking the sole nursing position at the county jail. This is an actual case and the starting point for this week’s blog post on avoiding risky practices in the use of nursing protocols and sick call. What problems do you see with the use of nursing protocols in this case? My thoughts in answer to this question are at the end of this post. Listen to a fascinating interview with Kathy Wild RN, MPA, CCHP, about wise use of nursing protocols at http://correctionalnurse.net/2012/07/19/wise-use/. Kathy views nurse sick call as the signature practice defining the specialty of correctional nursing. The following is a checklist of things to have in place to conduct sick call and use nursing protocols safely. Are there written guidelines for sick call at the facility and is the day to day practice of sick call consistent with these guidelines? Guidelines might include a procedure, a checklist, a post order or other written document approved by management that details who, how, what, where and when daily requests for sick call are handled. Is sick call conducted in a manner that is consistent with these directives? 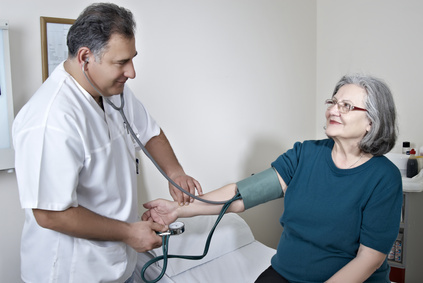 Are nursing protocols used to assess and treat patients’ health complaints? These may be called care pathways, assessment protocols, standardized procedures, or standing orders. Basically they describe how to evaluate a patient’s health complaint, determine the priority and plan for care and then initiate treatment. The protocols should be developed by nursing staff with involvement and approval of each protocol by the facility physician. The protocols also should have specific directions for contact and referral to providers. Is the procedure, practice and are the protocols consistent with the nurse practice act? To obtain the practice act contact the same board that you obtain your license from. Many of the state practice acts are available on-line by simply typing in the search words “nurse practice and the state” (e.g. nurse practice, Oregon). These sites have other helpful resources including how to ask for an opinion, copies of previous opinions and how to determine if an activity is within your scope of practice. Sue Smith, author of the chapter on Sick Call in the Essentials of Correctional Nursing urges nurses to seek advice from the Board about practice in the correctional setting rather than respond after the fact to a complaint. Have you received training and clinical supervision in sick call and the protocols? Nursing sick call is a practice that is unique to correctional nursing. Therefore nurses need training to develop the knowledge, skill and expertise to provide effective, timely and clinically appropriate patient care in the correctional setting. Even if you have prior correctional nursing experience you should receive training specific the new facility. All nurses should evaluate their competency in sick call periodically and prepare recommendations for improvement. All nurses should also periodically review the protocols and especially when revised. References should include copies of written directives and the protocols as well as one or more clinical references, a drug reference and patient education material. What should I do if the answer to one or more of these questions is no? Bring your concerns to the attention of those responsible for health care delivery at your facility. It is always a good idea to state your concerns as suggestions for improvement and recognize that change may not take place overnight. If you are in a leadership position make plans to improve nursing sick call; there are many references available and mentioned here. Thoughts on the nurse’s use of protocols in the case example above: The nurse was using protocols developed by and for another organization, not the jail. The medical director at the jail had neither seen these protocols nor approved their use. There were no written guidelines in place at the jail to describe how the nurse was to conduct sick call. The physician was on-site ½ day every two weeks and otherwise available by phone during normal office hours. The nurse in this case was practicing outside the scope of the nurse practice act. Use the comments section of this post to contribute your thoughts on safe practices for nursing sick call. For more on Nurse Sick Call order Essentials of Correctional Nursing at http://www.springerpub.com/product/9780826109514#.UDqoiNZlQf4. This entry was posted in Professional Practice, Sick Call and tagged Catherine Knox, correctional nursing, Essentials of Correctional Nursing, jail nurse, Lorry Schoenly, Patient safety, prison nurse, Standards of Practice. Bookmark the permalink. Medication Practices (ISMP), lack of adequate written information and time constraints may hinder nurses’ efforts to educate patients about how to take their medications after discharge from the hospital. When treating a patient we not only need to consider what the best plan of care is for the given situation but also what is within the scope of our practice as nurses according to state guidelines and institutional protocols since we may need to defend our decisions in a court of law. So true Nicholas. It can’t be said often enough. Knowledge of the state nurse practice act is a fundamental piece of knowledge a correctional nurse must have in order to practice safely in this non-traditional field. The nurse should be able to telephone the MP for medication orders if there are no standing orders available. Nurses are to follow the protocol for processing healthcare kite requests and scheduling the prisoner for a nurse sick call apt, and referral to the MP. Nurses are to practice according to the state nurse practice act and the nursing protocol for the facility they work at. I agree, there must be a collaborative and supportive relationship between nurses and providers (physicians, physician assistants and advanced practice registered nurses) in the care of inmates who are seeking health care attention. This must include, as you point out, the ability to contact the provider anytime the patient’s condition exceeds that that can be provided by the nursing protocols. As we pointed out in the article, facility derived nursing protocols must be consistent with the state nurse practice act. Because correctional nursing is such specialty nurses sometimes find themselves employed by jails or prisons where the administration has little or no knowledge of the laws regarding nursing practice and it is up to the individual nurse to ensure that their practice is consistent with state law. Our advice is that individual nurses must be familiar with the state nurse practice act and independently determine that the facility guidelines are consistent with state law, not rely solely on the employer. It is really good advice to seek advice from the state board “rather than respond after the fact to a complaint.” Because the sate prison system is so huge, with so many employees, the nurses might assume protocols are in place to cover any possible scenario. Thanks for your comment. Nurses should really take the time to find out from a prospective employer, if they will be working in a correctional setting, what policies, procedures and protocols are in place to support nursing practice and to verify that these guidelines are consistent with state practice. Some correctional systems do not have the expertise to have in place the organizational support for professional practice that hospitals and other health systems do, so nurses have to take the initiative on their own to make sure that they are practicing within the lawful scope of their licensure. State boards of nursing have expanded the advice they have to offer nurses who work in non-traditional settings as the health care industry has diversified so correctional nurses should find this a very helpful resource.